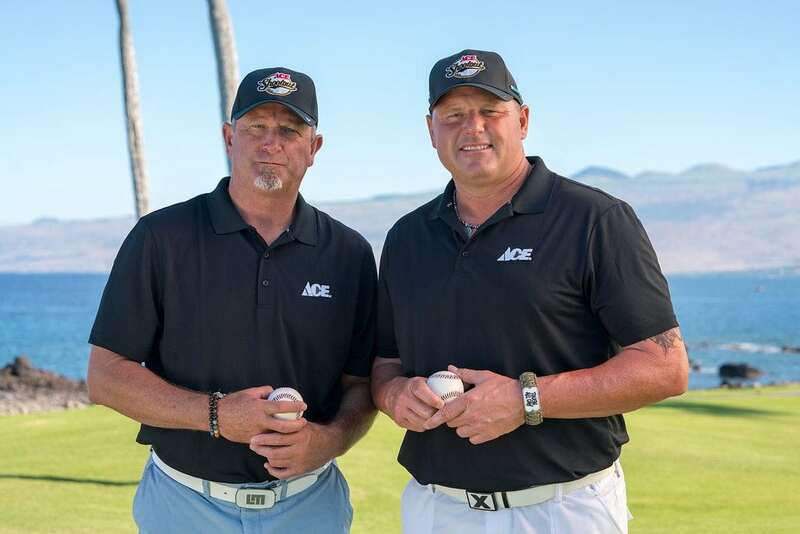 This is the fourth in a series of posts featuring each celebrity team playing in the 2018 Ace Shootout premiering on March 26, 5:00 p.m. EDT on Golf Channel. Team Baseball this year is represented by a pair of Cy Young Award winners, Roger “The Rocket” Clemens and Bret Saberhagen. Roger Clemens played Major League Baseball for 24 seasons with the Red Sox, Yankees, Blue Jays and Astros. He’s a 7x Cy Young Award winner and 12x MLB All-Star. He is playing for Texas Children’s Hospital. Bret Saberhagen was a pitcher for the MLB teams such as the Royals, Mets, Rockies and Red Sox. He’s a 2x Cy Young Award winner and a Gold Glove Award winner. He is playing for Akron Children’s Hospital. You can vote for Roger or Bret as your “Fan Favorite” at AceShootout.org. The player with the most votes will receive a $10,000 donation for the hospital they represent. Special thanks to Milwaukee Tool for sponsoring this year’s Fan Favorite online voting. Next post: Ace Shootout Premieres Tonight!